For more information on The Great American Read, click HERE. Click here to vote for your favorite book! Click here for a printable list to mark your progress. America’s 100 best-loved books are revealed, launching the campaign & the nationwide vote. Watch the Fall Launch Special now! Young Adult Fiction (YA) is dominating literature, and more young people are reading now than ever before. Lindsay Ellis explores how YA carved a place in publishing with It's Lit! from PBS Digital Studios. Which is better, the book or the movie? Explore the question with Lindsay Ellis in It’s Lit! from PBS Digital Studios. Wednesday, June 27 | 6:30 p.m. Celebrate 100 great novels chosen by PBS! Watch part of the one-hour program that is airing on PBS currently (hosted by Meredith Vieira). There will be prizes, snacks, discussion and the oppurtunity to pick your favorite novel from the list! No registration required. With the goal of reenergizing the campaign after a summer of reading and voting, this fast paced one-hour cut-down of the May Launch episode will revisit titles with a similar editorial focus to the Launch episode: to learn how and why these 100 books matter to us and how they affect, connect and reflect us as Americans. Look for five one-hour documentary style episodes! These five episodes will air as The Great American Read campaign heats up. These five entertaining and thought-provoking one-hour documentaries are designed to take a deeper dive into a range of books on our list which, while different in some ways, are connected by a common THEME versus a literary genre or time period. The themes include: Villains & Monsters, Who Am I? , Heroes, Other Worlds, and What We Do for Love. By approaching the books in this manner, we give viewers a broader perspective on why these novels matter to us on a personal level. Through expert insight and passionate personal advocacy, we will explore big ideas about the books in each Theme episode. Why have these books made it onto America’s list of 100 favorites? Why are we drawn to these themes, and what do they tell us about ourselves? 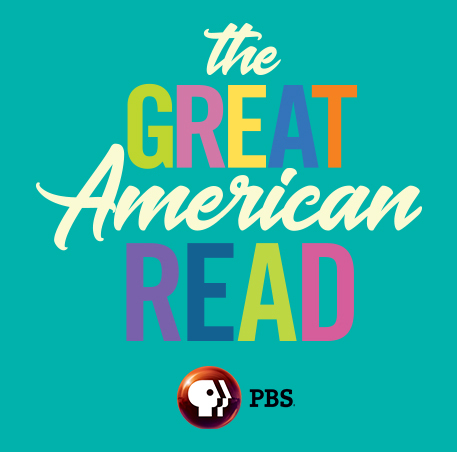 Tuesday, October 23 | 8:00 p.m.
As the voting draws to a close, this exciting live or as-live episode includes a countdown of America’s top twenty favorites as we build to the announcement of the country’s choice for Best-Loved Book. Along the way, we reveal surprising and thought-provoking discoveries about our entire summer of reading. We highlight the thrilling achievements of individual readers, community leaders and outreach programs across the USA and celebrate the impact of this landmark national public service initiative by PBS. The Great American Read on Social! Want to discuss America's best loved novels, your favorite novels, or ANYTHING "read"? Join thousands of others in The Great American Read Facebook Group to discuss your favorite books on the list! Check out the official discussion calender for a list of dates and links to ongoing discussions!